Whether or not you've ever held the title of Fast Food Queen as I once did, you've likely ingested your fair share of highly processed and chemical laden foods. Let's face it, in this day and age, it's increasingly more challenging to eat a diet rich in whole foods that aren't filled with chemical preservatives, additives and pesticides. Just take a look at the Dirty Dozen list – even fresh fruits and veggies aren't immune. 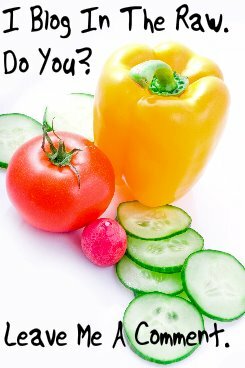 Unfortunately, most processed foods are acidic and when we consume too many of them, our body's acidity-alkalinity balance is upset. Prolonged acidity is very taxing on our cells and organs, and ultimately leads to illness and disease. Wheat grass has a high alkalizing effect, which helps restore the balance between acidity and alkalinity in the body. When your body’s pH levels are balanced, you'll begin to notice an increase in energy, stamina and less need for sleep. 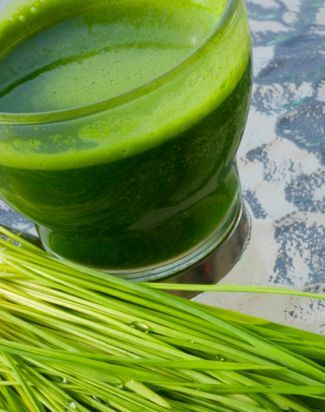 Wheatgrass contains an abundance of chlorophyll. The structure of chlorophyll is very similar to that of hemoglobin – the protein molecule in red blood cells – which makes it possible for our body to transform chlorophyll into hemoglobin. How cool is that? 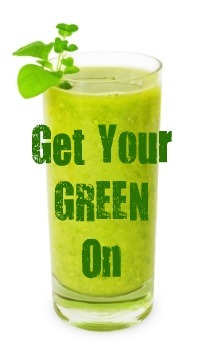 Drink your wheatgrass and increase your red blood cell count! Scientists have found chlorophyll strengthens liver functions, neutralizes toxic compounds, as well as eliminates toxins in the blood. Take that, nasty chemical additives and preservatives! Okay, so I think we can all agree that there are oodles of reasons to consume wheatgrass. But here's the thing: try as I might, I cannot seem to get past the taste. I quiver, and shiver, and gag. You get the picture. I've tried combining it with coconut water as well as adding it to various juices and smoothies to make it more palatable. 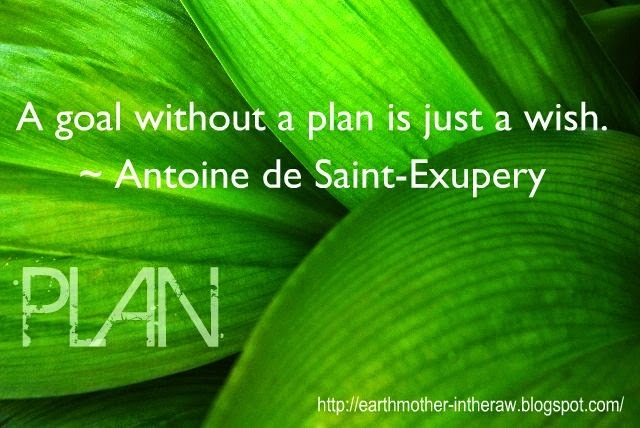 Ann Wigmore strongly advises against this. Great. So what's a girl to do? Well, a couple of months ago, I was introduced to the Best Organic Wheatgrass. The company name says it all. Really. I've been drinking their wheatgrass daily for the last month, and no gag reflex. In fact, I rather like the taste! It reminds me of green tea. So, here's the scoop. Their Easy Pha-max wheatgrass is 100% organic and uses no artificial chemicals, preservatives or other ingredients. It is the only wheatgrass powder in the world grown Aeroponically in 100% oxygen – soil free, fungus free and pollution free. 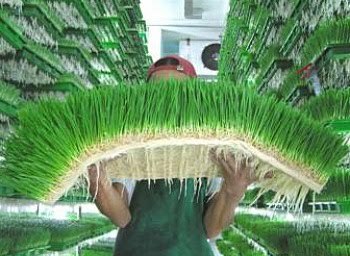 Wheatgrass is lifted out of its tray with the roots. Why Is The Root So Important? The active ingredients found in the root of wheatgrass, especially cancer fighting agents and 13 amino acids not found in the blades, stimulate damaged cells to undergo cellular repair. Bonus: by combining the roots with the blades, the taste is not as strong and nauseous as juiced wheatgrass. Score! After harvesting, the aeroponically-grown wheatgrass is cold dried to maintain its live enzymes and nutrients when combined with water. One Easy Pha-max wheatgrass sachet has the equivalent nutrients of 17 pounds of vegetables. 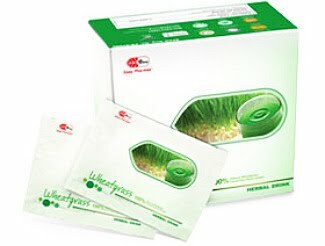 Four packets are equivalent to one tray of wheatgrass. Yowza! What About Folks Who Have A Wheat Allergy? Wheat allergies are usually a reaction to the gluten found in the wheat berry. Wheatgrass is a vegetable, cut before the wheat plant forms the grain (berry). Easy Pha-max wheatgrass has no gluten. The lovely folks at Best Organic Wheatgrass have offered to gift one reader of In The Raw a box of organic 100% Wheatgrass Powder, containing 66 individual sachets. But wait, there's more! Because they're so generous, they're also going to include a box of Wheatgrass With Honey. Traditional Chinese medicine uses honey to prolong life and treat diseases. Honey reduces body heat, nourishes spleen and stomach, moisturizes intestine and lungs, improves urination, detoxifies, and reduces pain. 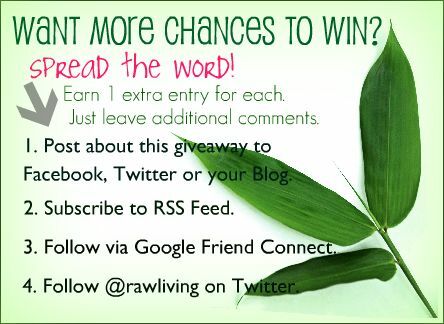 Mandatory Entry: Have a look around Best Organic Wheatgrass and tell me one thing you learned from visiting their site. Leave me a comment below this post. You have until Midnight EDT, June 27th to get your entries in. 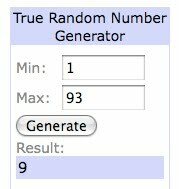 I'll then call on Mr. Random Number Generator to pick a winner. Meet you back here on Monday, when I'll announce the lucky winner. I'll also have a special treat for everyone else. Congratulations to Mbwilkes, you're the lucky winner of 2 boxes of the Best Organic Wheatgrass! But wait...everyone's a winner today! 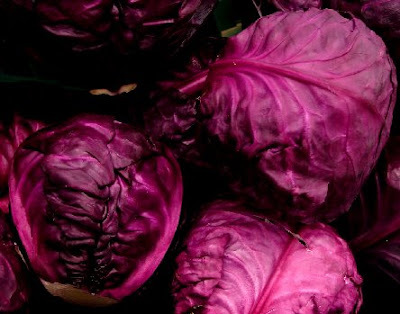 Now everyone can try the King of Alkaline Foods! The wheatgrass is best assimilated by drinking the first thing in the morning, on an empty stomach. Simply mix one packet in an 8 - 10 ounce glass of water. Cheers!